This was extracted (@ 2019-04-17 20:10) from a list of minutes which have been approved by the Board. We did a release of version 1.17.0 of the framework . both DataNucleus (as currently) and also Spring Data. on the dev and users mailing lists. confirming that we also have community engagement. - Currently 14 PMC members. release included upgrades and support for Java 8, DataNucleus 5.1, Wicket 8. This has been a slower quarter that usual, but nothing of concern. due to fewer commits to the codebase (JIRA messages). automated end-to-end testing of deployed applications. We're happy to add ASF links to our website. We are now 100% compliant. conference in Paris in May . There is nothing significant in the mailing list activity. We have made 1 release this quarter . We have made 2 releases this quarter . documentation without removing any functionality. We have made no releases this quarter. and description were posted to the users and dev mailing lists. simplify it and lower barriers to entry. addition, an improved rich-text search has been implemented. Isis to demonstrate one way to implement the former. Everything is healthy. We have had two releases. We have made three patch releases this quarter [1,2,3]. broaden the experience/expertise of others in our PMC). 'Special Orders' section of this agenda. Nothing particularly significant in these figures; everything steady. several further session proposals have been submitted for future conferences. are down on previous quarters, but we are not concerned by the change. expect development to pick up again in the next quarter. we are likely to keep things as they are and remain on core JEE. are down, probably due to there being no new release this quarter. and v1.12.2  and one major release v1.13.0 . (As reported last quarter), a couple of conference have now taken place. Project activity (#mails, tickets, commits etc) are all healthy. Oracle's promised announcements re: JEE at JavaOne in Sept.
a much larger release 1.12.0 with some substantial new features . v1.12.0 release incorporating substantial new features. (previously only HTML was available). will attract new users to the framework. features on a more frequent basis (every 6 to 8 weeks is the intention). generates additional "traffic" as a side-effect. committers in the fullness of time. clutch of new features . quarter is lower than in previous quarters, but is still rising. work might be contrbuted back to ASF/the Isis project in the future. has chosen a Vaadin/Isis integration as his paid-for side project). Finally, two of the Apache Isis committers entered a 2 day "RAD Race"
acquitted ourselves well. A write-up is available . new subscribers to the mailing list has perhaps slowed a little. unfashionable project, and are still somewhat searching for our audience. users who have "discovered" us, so are not overly discouraged. awareness of the framework, as well as tell an interesting story. - Currently 11 committers and 11 committee group members. number of subscribers to our users mailing list continues to gently increase. user guide  and reference guide  is new. in August at the latest. - Currently 11 committers and 11 PMC members in the project. v1.8.0, a major release of approximately 4 months development effort. with support for Java 7 about to end). these (with permission) to update the Apache Isis home page . development work are core principles of the ASF". We replied to Bertrand on the private list to clarify the position. Bertrand was happy with these assurances. increasing with some good contributions from the user community. which has been quite substantial. In the last report we described how we are have created a new "Isis Addons"
* as such, they have a different cadence to the framework "proper"
license restrictions, eg if dependent on LGPL. can be more clearly focussed on its core responsibilities. for two Isis committers, Martin Grigorov (also a Wicket committer), and myself. introduced to us by Oscar Bou, another Isis committer. This quarter we made one new release, v1.7.0 on 18 Oct 2014 .
and also a talk at Agile Testing/BDD Conference (UK) . we had to fail him for the final eval. several security issues , , now addressed and slated for the next release. two strategies to mitigate this. a fully JEE7-compliant web architecture, but this will take time. different velocity to the framework. "out-of-the-box" (thus increasing Isis' broader appeal). web UI). This work is also being sponsored by Eurocommercial Properties NV. This quarter we made one new release, v1.6.0 on 28 Jul 2014 . @Sam: follow up with PMC. Some clarification on the relationship between the addons and the project would be helpful. Are they external just for splitting out, licensing, different community, making use of other github features? discussions were summarized to the mailing list , also in our wiki . We are also participating in this year's Google Summer of Code 2014 .
difficult decision to pass him on his mid-term eval. This quarter we made one new release, v1.5.0 on 7 Jun 2014 .
continue to increase linearly month-on-month. community we don't expect very much if any take-up). dev mailing list to ensure full involvement of other committers not present. on our experience in GSOC last year) that this project will go ahead. patch release v1.4.1 on 14 Mar 2014 . There have been no changes to the committers or PMC this quarter. building (Estatio ), for and on behalf of Eurocommercial Properties . We have a note of thanks on our site to ECP . build upon Isis' support for Restful Objects spec . somewhat quiet, though they did both vote on recent releases (see below). v1.3.1 on 7 Nov 2013.
hashes on our download page; this has now been addressed . continue to slowly increase month-on-month. the rest of the community such that we might vote them in as committers. developer conference, DevWeek, in Mar 2014 . PMC voted in Maurizio Taverna as a new committer , on 26 Apr 2013. Methods & Tools online magazine . in Sicily in Oct 2013 . We expect to put out a further release in the next quarter. Compliant as of previous report; no changes. on our users mailing list. substantial new piece of work being undertaken. * Quickstart (Wicket/Restful/JDO/Shiro) archetype 1.0.2 released. We expect to put out a new release in the next quarter. the monthly reports required for three months post-graduation. metadata pertaining to Isis has been updated . order to support more frequent releases . We have had a few new correspondents on our users mailing list. As hoped, we made our first release of Isis as a TLP just before Xmas . made a number of small changes in order to comply. have now moved our codebase over from svn to git . Compared to last month, our new CMS website is substantially enlarged . trial release against git and updated our release procedures ). resolution  have been added to the PMC group. project will continue through 2013. We have started to work with infra to transition to a TLP , . with infra to effect this change . placeholder site up and running . J-Fall 2012 conference in the Netherlands . At the same conference, a set of hands-on lab sessions were also run . 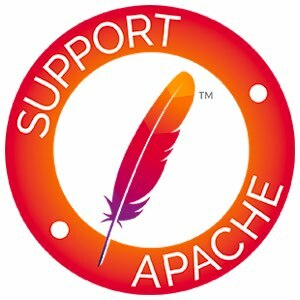 At ApacheConEU, a presentation was made on Apache Isis . No new committers or contributors this month. incubator site  is still live. incubating. We expect to retire the incubator site before Xmas 2012. Design using Naked Objects " (pragprog 2009). Isis was accepted into the Incubator in 2010, September 7th. - Why not just propose the committers and see what the PPMC thinks? Is there a reason for waiting? has happened than the page reflects. Design using Naked Objects" (pragprog 2009). Isis was accepted into the Incubator in 2011, September 7th. * Presented lightning talk at CodeKen 2011 conf. None of these issues requires Board attention. * Good documentation site is online now. * Getting first release out to demonstrate credibility. * Ensuring existing committers all happy with transition to Apache. * We are currently in the progress of voting on our first release. There is currently no incubator release yet. * setting up the build process has been finished. * Wiki starting to get some useful content. * Lightning talk at LJC OpenConference, Nov 2010 . * All code now uploaded (including sister projects); code now building. * Initial site uploaded (some issues still outstanding here). * Mailing list shows increased usage from previous month. * Vangjel Stavro showed interest in contributing to Wiki documentation. various areas... no contributions yet, but hopeful. Isis and what it can do for their software development at ApacheCon 2010. * Lightning talk scheduled at LJC OpenConference, Nov 2010.
the Isis "BDD Viewer" (Concordion integration). be finalized maximum by the end of this month November 2010. * There is currently no incubator release yet. Driven Design using Naked Objects". (Naked Objects codebase uploaded, awaiting sister projects to be uploaded).